John Daly, along with fellow DJs Patrick Hogan and Mossy Hynes, have been running MOVE for a year and tomorrow on the Electric mainfloor from 11pm, they will celebrate the night’s first birthday in style. “When you come to MOVE,” John declares, “expect to hear anything as long as it’s got a groove and you can dance to it” - and that’s just the start of what he and his colleagues want MOVE to achieve. Born and reared in Cork, John has been living in Galway for the past 10 years. During that time, he has risen to become a hugely respected name in DJing. His music has been released on Gerd Janson’s Running Back imprint, Francois K's Wave Music, London club-night/record label Secret Sundaze, and Drumpoet Community, as well as on his own Feel Music imprint. He has DJed at Panorama Bar in Berlin, Deep Space in NYC, Concrete in Paris, Fabric in London, and kept 6,000 dancers moving at Electric Picnic. John grew up in the small seaside town of Myrtleville. Despite its smallness, it became a popular spot for bands from nearby Cork city’s thriving music scene to play. Going to gigs at the town’s Pine Lodge venue inspired him and a number of friends to form a band, but it was when they went to record a demo that the course of John’s life was dramatically altered. “As soon as I set foot in the studio I was hooked,” he says. 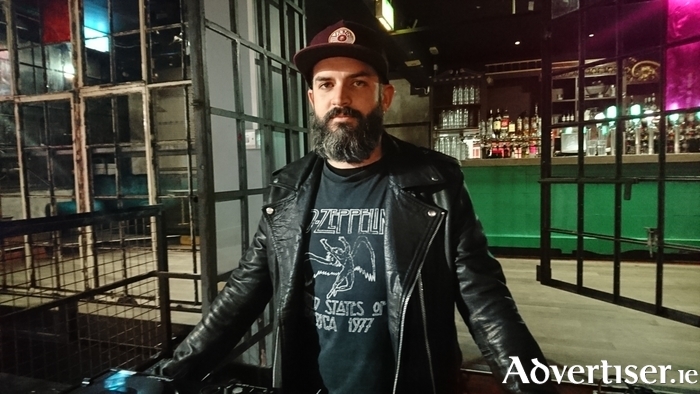 “I knew this is what I wanted to do.” Now fascinated by the technological end of music and its recording and production, he began exploring electronic and techno music, and going to club nights in Cork’s legendary Sir Henry’s venue. Today, John’s music spans deep house, dance, techno, and industrial, while he gives exposure to his more IDM, ambient, and chill-out leanings via his The Smoke Clears moniker, which resulted in last year’s critical acclaimed, eponymously titled debut album via All City Records. Last year also saw the launch of MOVE in Electric, and John had a very definite approach in mind for the night. With MOVE, John, along with Hogan and Hynes (“Legends!” declares the Corkonian. “They are unbelievable DJs!” ), had a very definite approach in mind for the night - building a club with an identifiable sound, yet one that could also accommodate diversity. When I meet John for the interview, he is wearing a Led Zeppelin T-shirt and has no hesitation declaring his love of hard rock and metal. For him, good music, regardless of genre, shares a key element.